SOLD OUT. FEW SPOTS LEFT ON WAITLIST ONLY. 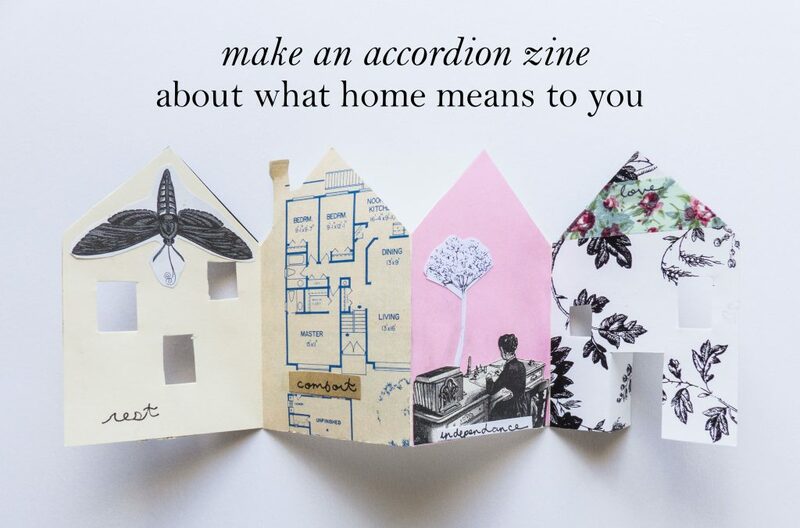 In connection to the exhibition Germaine Koh: Home Made Home, guest artist Keely O’Brien will explore themes of home with a fun and relaxed hands-on art workshop for all ages to make an accordion folding zine. Join Branscombe House Artist-in-Residence Keely O’Brien to get creative and explore mixed-media and collage art techniques. We will be using found paper, ephemera, imagery, and text to express how we each create and define home and community. Free admission, all art materials provided. Registration required due to limited spaces, at Eventbrite. NOTE: Curator Tour of the exhibition Germaine Koh: Home Made Home precedes this workshop. All are welcome to attend this free drop-in tour from 2:00 – 3:00pm in the Art Gallery.